Well over 50% of the photo contest fundraisers that we run offer a spot in a calendar as part of their prize package. 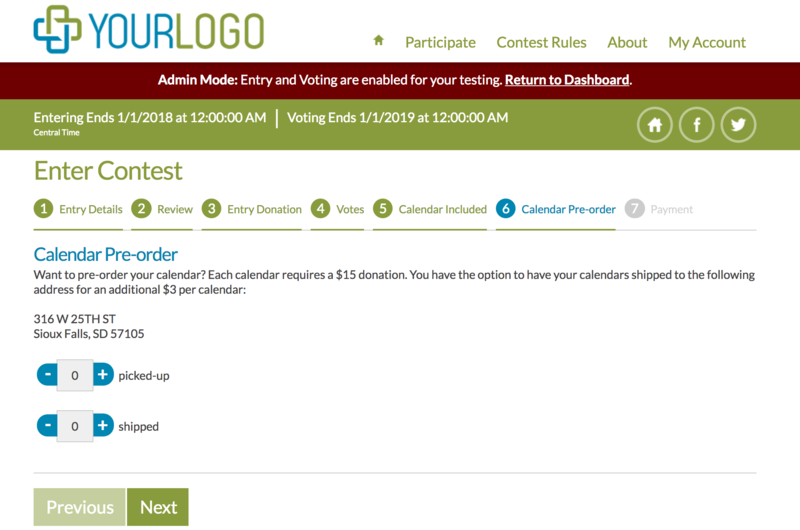 It was a natural progression to build a module for our photo contests that would allow organizations to pre-sale their calendars as part of the entry process and as a separate form (for those who are not entering the contest). The Calendar Pre-Sale Module is available to anyone who wants to offer calendar pre-sales as part of their photo contest. 1. How much is the price of each calendar? 2. How much is shipping for each calendar? 3. 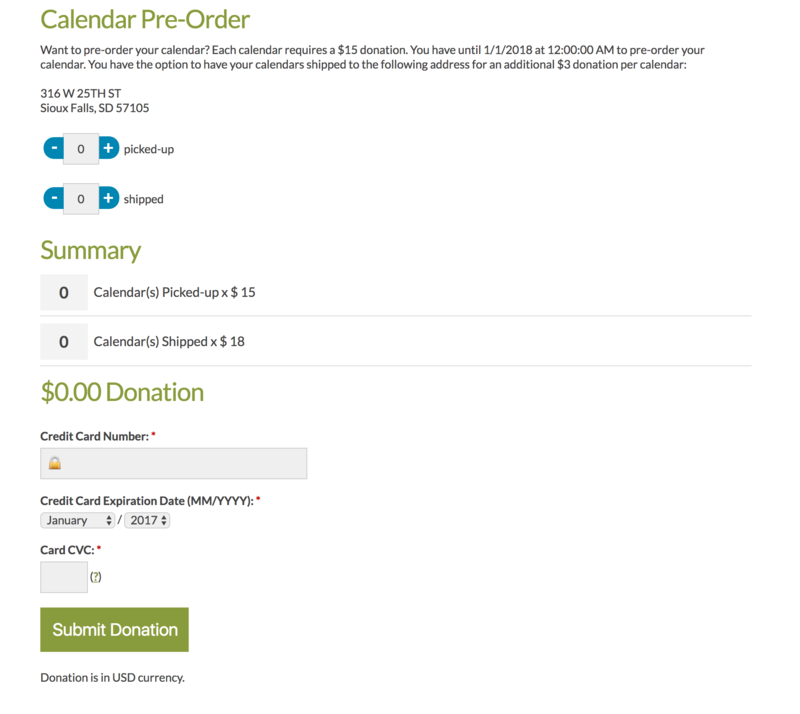 Can calendars be picked up in-person at your organization (avoiding shipping costs for the purchaser)? This form is available under the Participate drop-down on your contest site. You can also share the link to this pre-order form on your website and social media (Facebook, Twitter, etc). 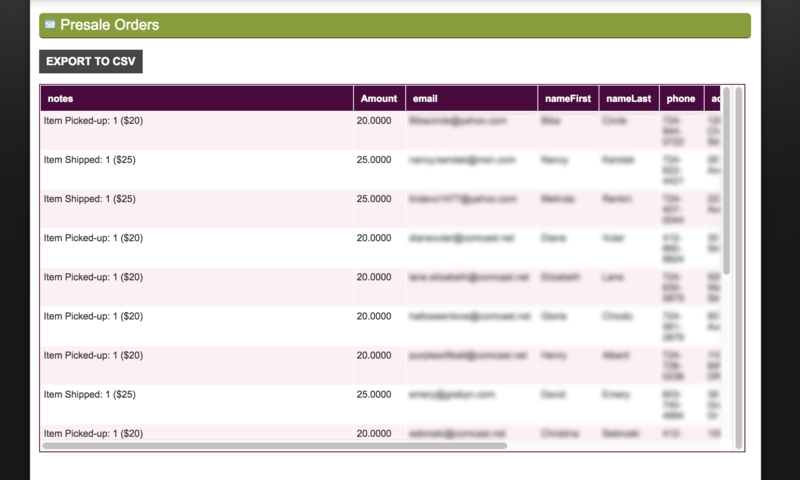 The form remains live even after your contest has ended, for continued calendar sales.